Sonography is the use of a sonogram machine that uses high frequency sound waves to obtain a real time image of the inside of the body. Sonogram technology is similar to the way animals like bats use reflected ultrasonic waves to navigate. 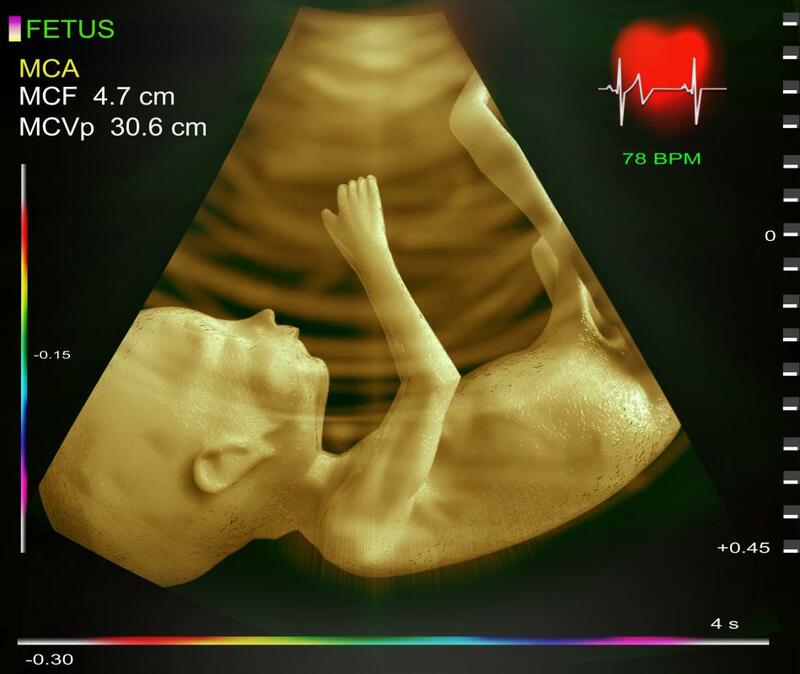 3D ultrasounds use computer programs to reconstruct a three-dimensional representation of a fetus in the womb. 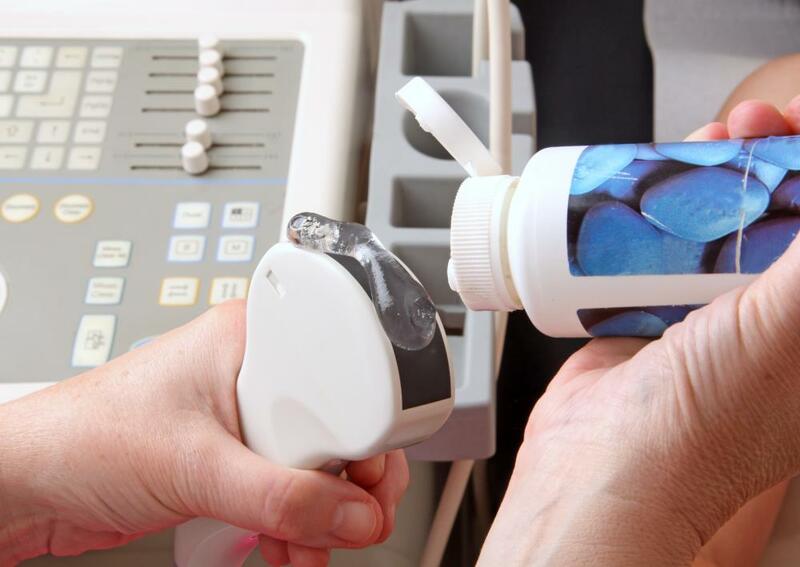 Doppler gel may be used to lubricate the transducer in preparation for an ultrasound. Sonograms are useful for inspecting internal organs, like the kidneys. 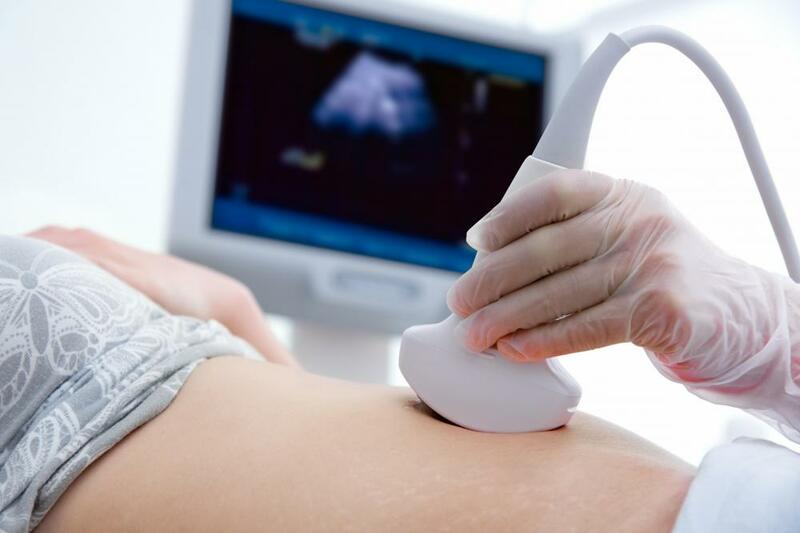 Sonography, also called ultrasound imaging or ultrasound scanning, uses high frequency sound waves to obtain a real time image of the inside of the body. The image shows the movement of blood and organs and the structure of internal tissues. 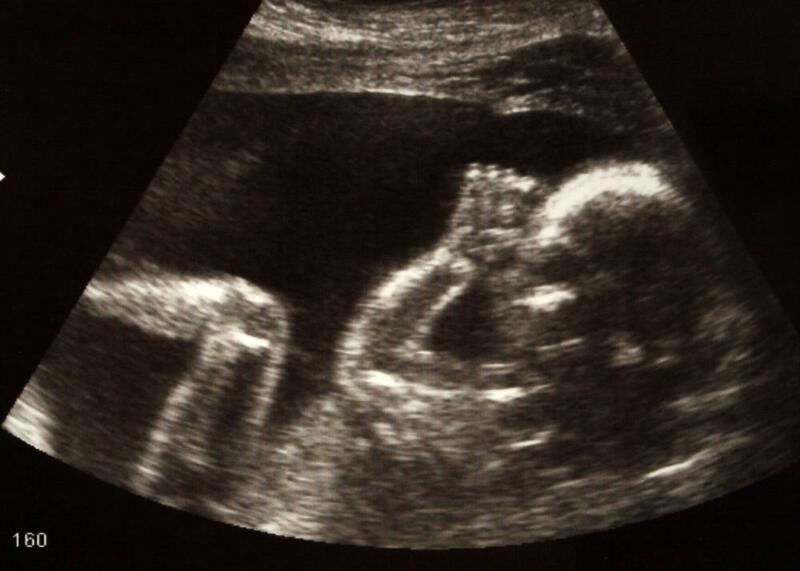 Traditionally, a sonogram will show a flat presentation of the examined region, but three dimensional (3D) images are also possible, as are 4D pictures, which show 3D images in motion. The picture is called an ultrasound or a sonogram. The technology behind sonography is similar to the way bats, dolphins, and fishermen use sonar. When sound waves enter the atmosphere, they bounce off objects, creating an echo. When these echoed waves are measured, they can reveal the shape and movement of the object they struck. In an ultrasound, a transducer emits the sound waves and records and measures them when they return. The transducer is pressed to the skin, which instantly produces an image of the internal organs being examined. Medical professionals use this technology to examine the inside of the body without using ionizing radiation. If a patient has pain, swelling, or infection, a healthcare provider will commonly conduct an ultrasound to make a diagnosis. A sonogram is useful for looking at the heart, blood vessels, unborn fetuses in pregnant patients, ovaries, thyroid glands, kidneys, and other organs. After a heart attack, the device may also be used to assess the damage to the heart. Ultrasounds are also used to guide procedures such as needle biopsies, where abnormal cells are removed from the body for laboratory testing. This is especially common with breast biopsies. If there is suspicion of clotting or other blood flow obstructions, blood vessel narrowing, tumors, or congenital malformation, a medical professional may use a Doppler ultrasound to examine and possibly diagnose the patient. This device follows the blood flow through arteries and veins in the neck, arms, legs, and abdomen. The three types of Doppler sonography are color Doppler, which uses color to show speed and direction of flow in blood vessels; the power Doppler, which works similarly to the color Doppler, but with more detail; and the spectral Doppler, which reformats blood flow measurements into graphs. A patient getting an ultrasound should not expect pain or discomfort, unless the transducer is being placed on a sore area. Depending on the exact nature and reasons for the procedure, a healthcare professional may ask the patient not to eat or drink for a period of time, to drink lots of water, or to not change daily activities at all. The doctor or technician will likely position the patient face up and apply a clear gel that produces a warming effect on the site where the transducer will be placed. The gel is applied to minimize the chance of air pockets between the skin and the transducer so that the sound waves can be as accurately measured as possible. After the procedure, the skin will be wiped clean, no discomfort should be experienced, and the patient can resume his or her normal activities. How do I get a Sonography Degree? @Monika - That's good advice. Since so many people have been laid off in the last few years, a lot of people are looking to go back to school for a field they can get into quickly. Some of those "career institutes" are extremely overpriced, and really prey on people in this situation. But as you said, most programs that are at career institutes (including sonography programs) are also available at a community college. So if you're going to spend your hard earned money going back to school, you really need to do your research first to make sure you get the proper training. @starrynight - If you're going to do sonography training, make sure you go to an accredited program. If you don't, you're not going to have a very easy time getting hired. Also, check out a community college versus a technical institute. Community colleges are usually better and cheaper. I've seen a lot of advertisements for sonography schools lately, so I did a little bit of research about the profession. It turns out the sonographers are fairly in demand right now, because a lot of doctors want to use sonography instead of other kinds of medical imaging. As the article said, sonography doesn't use radiation, and it's fairly non-invasive. These two things alone make it a really desirable kind of medical imaging, because it's not likely to hurt the patient! @orangey03 - As the article said, the only time a sonography will hurt is if the area being imaged is already sore. I had diagnostic medical sonography on my abdomen a few years ago because I was having some stomach troubles, and it didn't hurt a bit. I also had a sonogram done on the veins in one of my legs, and, again, it didn't hurt at all. So don't worry! @pastanaga – I had an ultrasound with a full bladder, and I could hardly hold my urine inside! Imagine really having to urinate and having someone mashing around on your bladder for several minutes. I thought the ultrasound would never end! As soon as it did, I ran to the restroom. I barely made it. @orangey03 – Mine hurt a little, but that was just because I had multiple cysts on my kidneys. The sonography tech had to mash down fairly hard to get a good image of them, and I felt very sore afterward. However, if you don't have kidney cysts, it might not hurt at all. I was just extra sensitive in that area. The tech kept apologizing, because she knew I was very uncomfortable. She let me look at the screen to help distract me from my soreness, and it was neat to get to see inside my own body like that. Do ultrasounds hurt at all? I'm going to have one next week so that the doctor can find out what's going on with my kidneys, and I'm a little afraid. I've never had one before, and I don't know anyone who has. I had no idea that an ultrasound used sonography! That's pretty cool. I always thought sonography was the technique that people on boats use when they are looking for something below the surface of the water. I just realized that the term for that is “sonar.” They both use sound waves, so I'm not entirely confused. @pastanaga - That's the main weakness of ultrasound, it needs certain conditions in order to work. For example, the waves can't move well through bone or through air, so looking at anything with those (like the lungs) is going to be difficult. There are other ways to look into the human body though, like a CT or an MRI. @umbra21 - That's the most widely known form of medical sonography, mostly because everyone knows someone who's had a baby so they usually have direct experience of it. But the same tool is used for a lot of other things as well. It's amazing how detailed the pictures are that they can build now. I had an ultrasound to check on some of my organs when I was having a condition diagnosed and it was actually fairly unpleasant because they needed to use the scope internally in order to get the best picture, since my bladder wasn't full (they can use a full bladder to strengthen the sound signal or something). So, when the doctor says not to pee before you go to the exam, you should listen. I remember the first time I saw my nephew through the ultrasound. I cried a little bit. It was just so moving to be able to see him in there, even though he hadn't come out yet and to know that he was a real living being with a heart beat and everything. Ultrasound has also saved the lives of plenty of mothers and babies by detecting disease or other problems before the birth so the doctors can prepare for it or fix it beforehand. It's really a marvelous tool.